Pineapple, coconut, banana...is there anything more tropical than these ingredients? I don't think so! This sweet combination is what makes the Hummingbird Cake so special, a bakery classic and one of my favorite cakes ever. Every year for my birthday I get a Hummingbird cake from my favorite bakery...yes, I do deserve a break from baking and being in the kitchen at least once a year and, let me tell ya: even if you are as picky and perfectionist as I am, it's good to let others do the hard work for you from time to time, hehe. 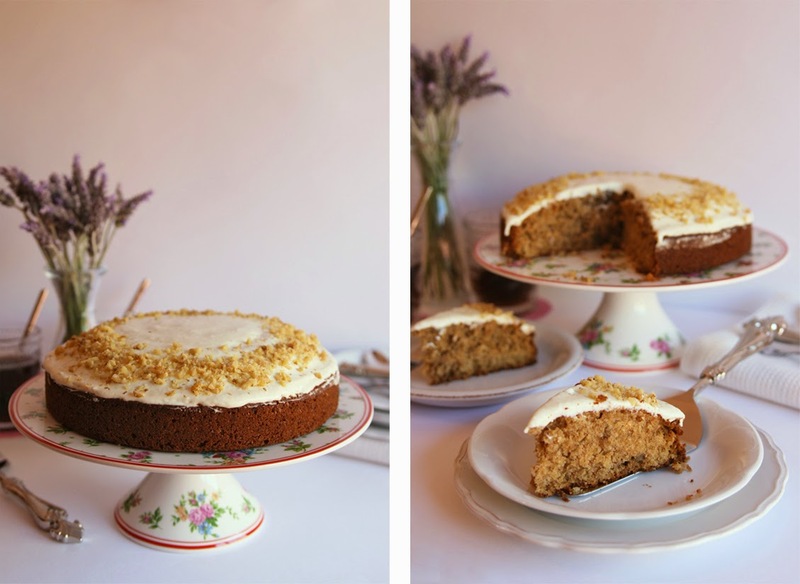 A few days ago I thought it was about time to bake one for the blog but somehow different, with a more rustic look: one tall layer glazed with a soft coconut cream cheese frosting and sprinkled with chopped walnuts. I made this cake to celebrate the last day of the Easter holidays (here in Spain is Easter Monday) and it was the perfect ending to these days of relax, finding new fresh ideas and doing girly things with my sister which, by the way, is one of my favorite things to do in the whole wide world, nothing beats that! 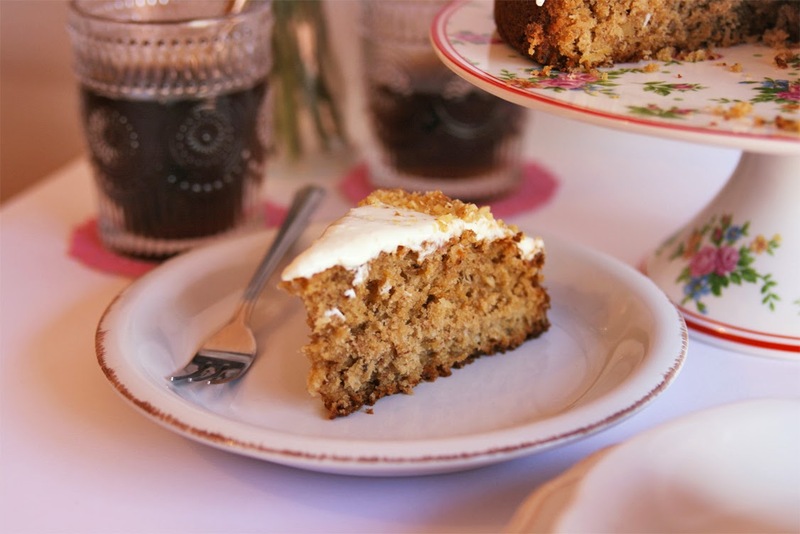 I hope you like this cake as much as I do, I honestly think it's the perfect one for spring time and it has a lovely homemade look with an irresistible combination of flavors. Just picture yourself surrounded by friends and family, enjoying a nice lunch at your garden, patio or rooftop feeling the warm spring breeze, smelling the flowers in full bloom and putting this gorgeous cake in the center of the table. Even the ones that say their tummies are full will make some room for a slice. By the way, I've added some useful tips right at the end of the recipe to help you nail this recipe! 1/2 cup pineapple (fresh or canned), crushed and well-drained. 1/4 cup walnuts or pecan nuts. 1/2 cup very ripe banana, mashed. 1 1/2 cup organic cream cheese. 1/3 cup walnuts, chopped (to sprinkle on top). Preheat oven to 350 ºF (180ºC) and adjust the rack to the middle position. Lightly grease the pan with cooking spray and line the base with parchment paper. Crush the pineapple with your food processor (it doesn't need to be completely crushed and/or blended) and drain very well all the excess liquid. Too much liquid will give you a heavy cake. Chop the walnuts into small pieces, I don't recommend using a food processor cause they can turn into flour in just a few seconds. If you have a powerful processor be careful not to break them into tiny pieces, pulse just for two seconds, stop and check. Mash bananas with a fork until puréed. In a large mixing bowl sift together flours, baking soda, spices and sugar, stir with a hand whisk to aerate the mixture. Add in pineapple, coconut, walnuts, banana, eggs and oil. Pour the mixture into the prepared pan and bake for 40 minutes. Let the cake cool in the pan on a wire rack for about 5 minutes and then remove from the pan and cool completely top-side up. In a medium mixing bowl combine cream cheese, coconut and sugar. Mix with a silicone spatula just until the sugar is incorporated. Beat on high speed for 3 to 4 minutes until the frosting looks fluffy and all the ingredients are well blended. Let it set in the fridge, this way the frosting will get thicker. 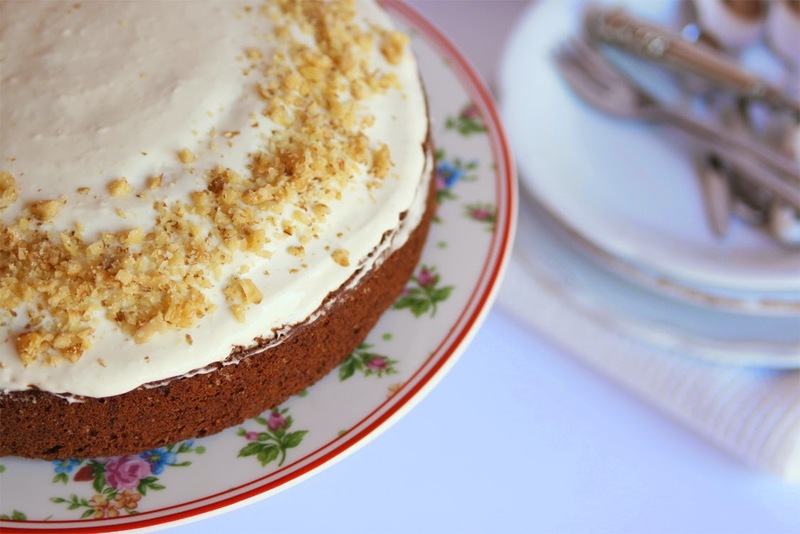 Spread frosting on top of the cake using an offset spatula or a spoon and sprinkle chopped walnuts. Cake will keep up to 3 days in an airtight container in the refrigerator. Frosted or unfrosted, the cake can be frozen for up to 3 months. 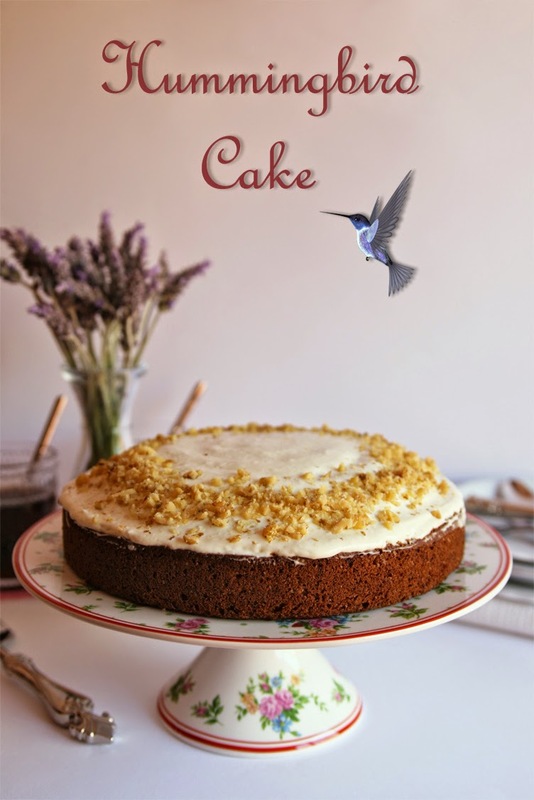 · I wanted to go for a more rustic version of the classic Hummingbird so don't expect this cake to be very moist. It's rather crumbly but if you want it to be more wet increase the mashed banana to 1 cup and add 1/4 cup of the pineapple syrup to the batter. 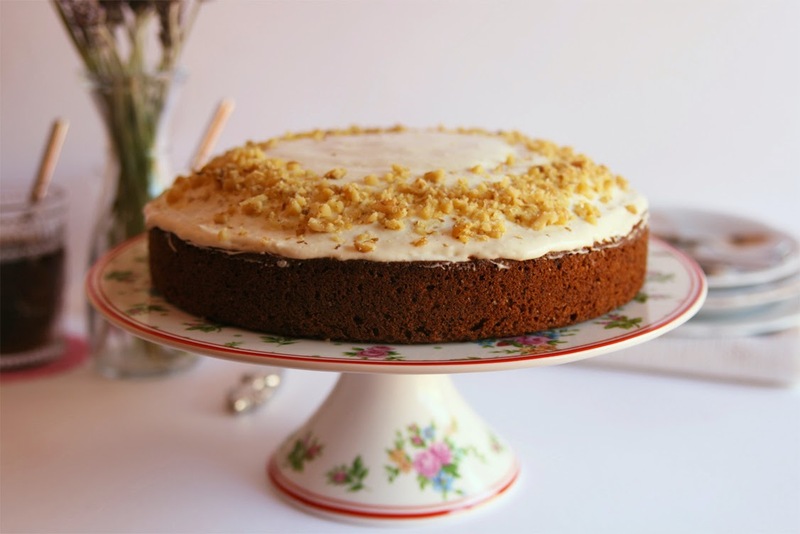 · Make sure the pineapple is well drained, otherwise the cake will be too dense and probably won't rise properly. Place pineapple in a fine mesh strainer and press firmly using the back of a spoon. 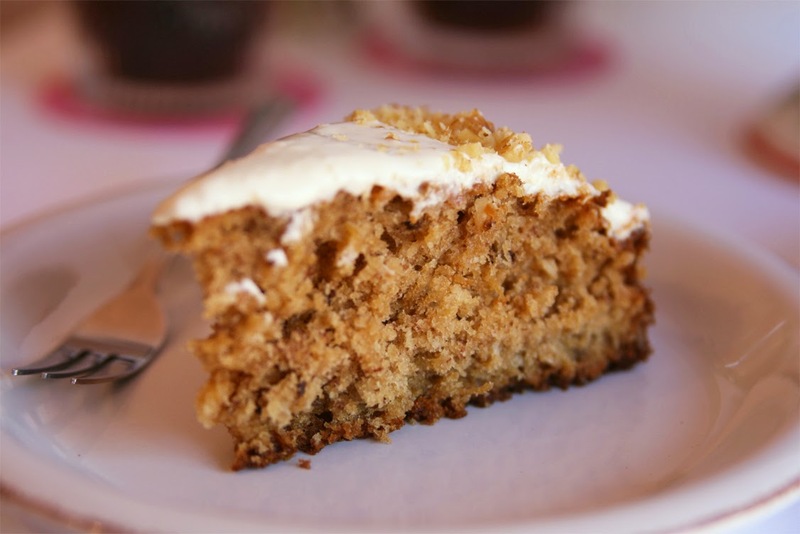 · Use very ripe or overripe bananas, this will help develop a more complex flavor and enhance the sweetness. · This frosting is not as thicker as regular cream cheese frosting. I wanted the cake to have a more simple look and made a single layer so I didn't frost the entire cake; that's why I chose to use a softer (thus not pipeable) cream cheese: organic and with reduced fats. 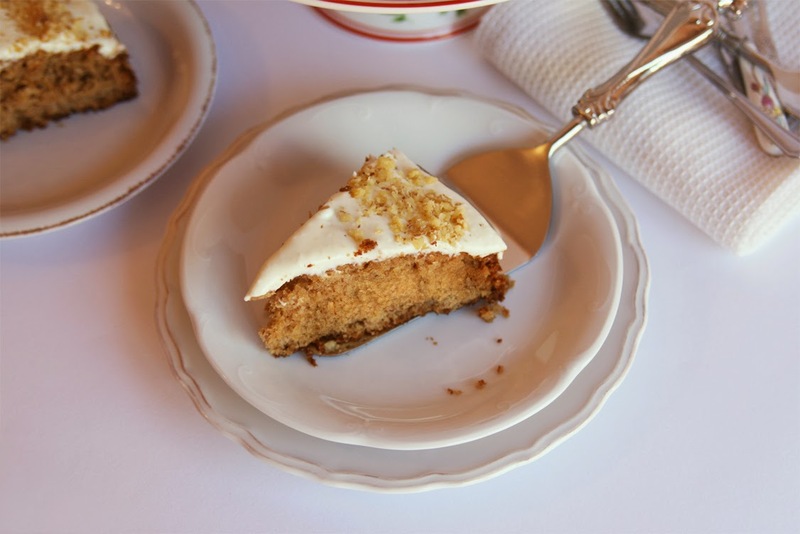 · Always use unsweetened shredded coconut, otherwise the cake will be overwhelmingly sweet. 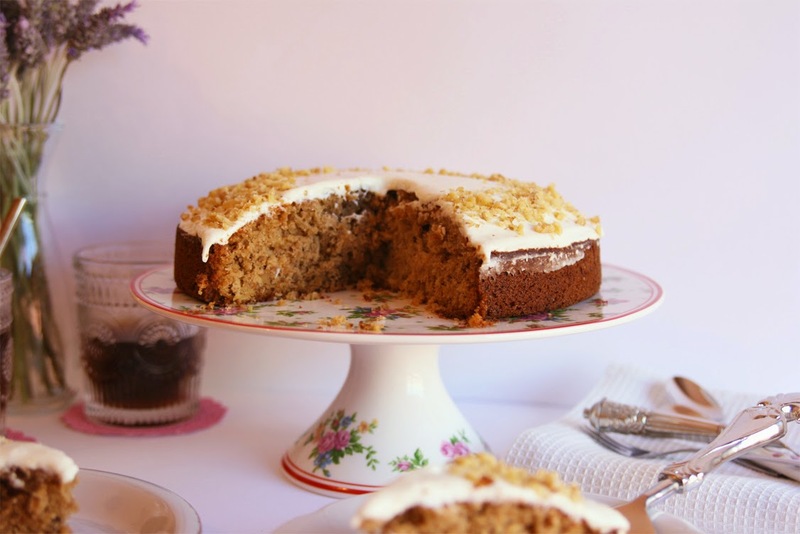 This cake looks wonderful and such lovely flavours pineapple, coconut and banana perfect to get in the mood for some warmer weather. What a lovely tropical cake! I love the mix of flavours. Beautiful presentation as well, Gemma.